Cities around the world celebrate the many positive impacts of trees on Arbor Day. Photo by longzijun/Flickr. Arbor Day, a day dedicated to celebrating the many positive impacts of trees on our lives, has expanded from a small effort by American pioneers to transform Nebraska’s arid lands, to a global celebration that brings hope for a more sustainable future, and invigorates action to make this future a reality. Today, according to United Nations statistics, more than 50 countries have established “Arbor Day” by law. In celebration of the rich array of different Arbor Days around the globe – and their positive impact on life in cities – TheCityFix has gathered together some of our favorite holidays to enrich your own celebration, no matter where or when that is. The first modern Arbor Day originated in Nebraska City, Nebraska, by a pioneer named J. Sterling Morton. Before the 19th century, Nebraska was much akin to a semi-arid desert. Agronomist Sterling Morton understood how pioneers needed trees to keep vital soil from eroding, and he also realized how the trees psychologically aided pioneers nostalgic for their homes and helped them connect to a foreign landscape. He rallied for student groups and community organizations to plant trees across the state. Beginning as a local movement, Nebraska’s State Department of Agriculture then adopted Morton’s proposal, which established the third Wednesday of April as Arbor Day for Nebraska. Since this decision was made in 1872, there have been 600 million trees planted across the state. 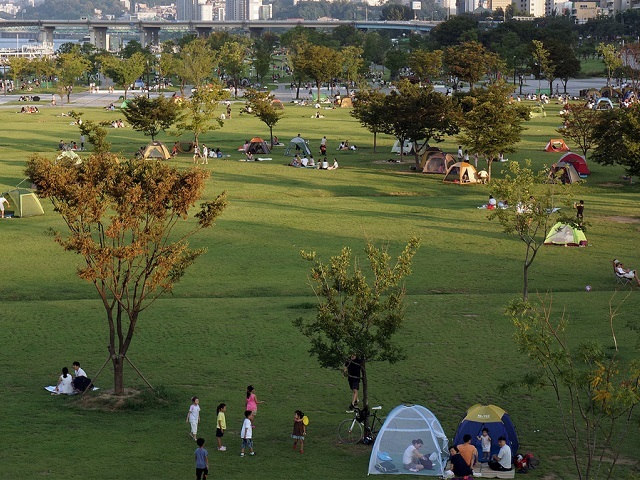 Korea also celebrates Arbor Day through numerous tree-planting events around the country. For them, the celebration represented the reforestation of a war-torn country after the Korean War, and the regrowth of a sense of community and hope. President Park Geun-hye joined in this celebration by planting a commemorative tree in the garden of the presidential office of Cheong Wa Dae. Although six decades have passed since the end of the Korean War, the holiday remains a time for cultivating new trees and new hopes. Israel’s Arbor Day is known as Tu Bishvat, which translates to “the New Year of the Trees.” This year’s Tu Bishvat started at sunset of January 15 and ended at the nightfall of January 16, 2014. On this day, nearly all the primary and secondary schools in Israel arrange field trips to deserts or non-urbanized areas for kids to plant trees. The students plant and water trees while teachers explain the importance of forests for Israel. Tu Bishvat is woven into a larger national effort to expand green space in the country, and symbolizes a long effort on the part of Israel to craft a sustainable future out of a desert. Nearly half of Israel’s land is completely covered by desert and receives merely 200 mm (8 inches) of annual precipitation, and Israel’s past has been marked by people’s ability to carefully live in balance with the environment. Main traffic arteries redesigned to narrow the traffic flow to one lane in each direction, with landscaped traffic islands with trees separating the lanes because speeding cars are threatening neighborhoods. Photo by Jack from Naples and Hartford in Season. Trees and green space are particularly important for growing cities. Urban forests contribute many positive attributes to cities. Planting one acre of forest absorbs six tons of carbon dioxide and puts out four tons of oxygen, enough to meet the annual needs of 18 people. Planting trees calms traffic, increases walkability, and encourages people to be more physically active. Research also finds that people who live in urban areas with more green space tend to report greater well-being than city dwellers who don’t have trees and green space nearby – more so than even money. But above this, trees, and the act of planting them, symbolizes rebirth, opportunity, and the hope for a sustainable tomorrow. This is a running theme throughout all of these different international celebrations, and hopefully, will be a running theme throughout every day of city residents’ lives. How does your culture celebrate Arbor Day? Let us know in the comments!